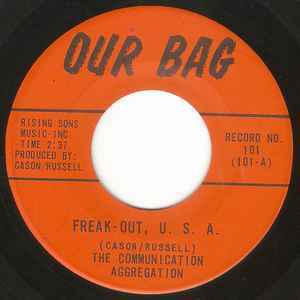 First press of 45 later released on RCA. Studio garage/cut-in novelty project with Zappa influence by legendary Nashville producer Buzz Cason. Original Our Bag pressing was released locally in very limited numbers.